Want to reach Bitcoin miners and the allied service providers? Blue Mail Media can help! 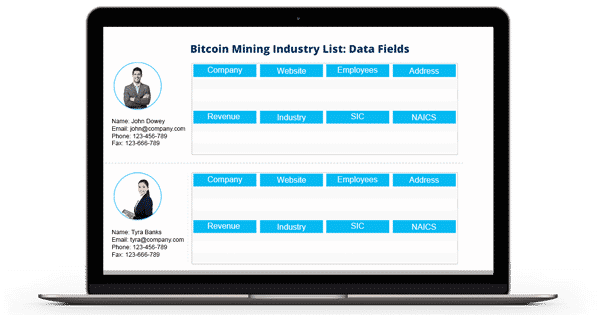 Our Bitcoin Mining Industry Email Database has been designed to help you strengthen your business network and explore umpteen business opportunities in the mining sector. Our Mailing list provides you access to all the relevant data to confidently run your multi-channel marketing campaigns. Over the years, Blue Mail Media has been able to establish itself as one of the most reliable marketing data solutions providers in the US as well as other regions. We follow a stringent process to collect and verify our data so that we are able to support our clients with the database which is up-to-date. We not only support our clients with the pre-packaged Mailing List of Bitcoin Miners but we also provide customized database based on marketers’ specific requirements. Using our database, you are sure to unlock a higher response rate, conversion rate, and an increased ROI. To know more, get in touch today!